HOLIDAY GIFT GUIDE: Yankee Swap! Do you want to be the STAR of your office holiday party? See below for top “Yankee Swap” gifts for 2017! Champs de France Candle How excited would you be to walk out of a Yankee Swap with this?? 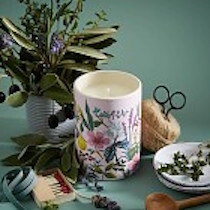 Candles that look and smell beautiful are available at Gus & Ruby Letterpress. Pancake Mix Have you ever met anyone who didn’t like pancakes?? 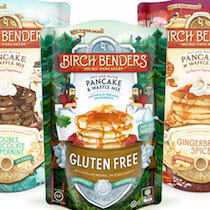 Bring the crowd-pleasing gift of pancake mix from Birch Benders to the mix! Available in many flavors at the York, Maine Hannaford and online. 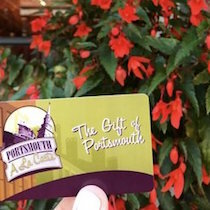 Portsmouth A La Carte Give the gift of Portsmouth with a gift card that can be used at over 70 shops and restaurants in downtown Portsmouth! Available for purchase online, at the Portsmouth Collaborative, and at the Portsmouth Brewery shop. 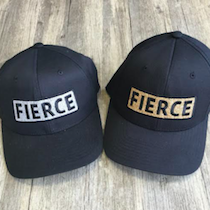 FIERCE Hats: Doesn’t everyone want to feel FIERCE?? Available in silver and gold glitter at CycleFierce! 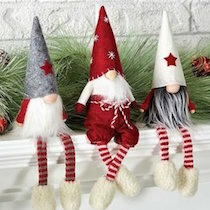 Gnome in the Home Spread some holiday cheer with sweet little shelf gnomes! Tastefully made and oh so festive! Available at Whims & Whatnots. 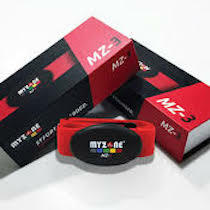 MYZONE This heart rate monitor is “all the rage” at LizFit — one of the best on the market! Please e-mail [email protected] to purchase with a discount! Shortbread From Cranberry Almond and Lemon Rosemary… to Pumpkin Spice and Traditional, New England Biscuit Company sells it all! 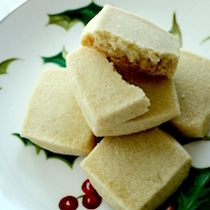 Made by hand and with love in Kittery, Maine, these decadent shortbread biscuits are sure to be a hit! (Order online through December 25, and receive complimentary shipping with purchases $25.00 and up). 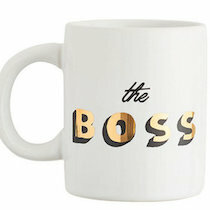 “The Boss” Mug Who’s going to take this one home at the end of the night?? Sold at Southern Maine Skin Company.